Residents of Dallas, Highland Park, University Park, Lake Highlands, Richardson and Garland come to see the professionals in our office. We understand you want a dentist who treats you with compassion and care, which is exactly what we strive to provide all of our patients. As a periodontist in Dallas, my goal is that you will not feel as if you are rushed to get through treatment and onto another patient. It is my intention to spend the amount of time necessary to complete the procedure and do the job correctly. My main goal is to educate my patients, so that way they understand the treatment options necessary for their specific condition. As a professional who places dental implants in Dallas, I want all of my patients to feel secure in their dental treatment experience. When you come into the office, the front desk personnel will properly take care of you and ensure you understand the benefits provided by your insurance provider. We also offer financing through third-party vendors and various other payment terms, so make sure to ask about that when you come into the office. Instead of misleading patients and tricking them into our practice, we are honest and upfront about what you need and what your insurance is going to cover. In our Dallas office, whether its treatment for periodontal (gum) disease, soft tissue grafting or implants, we want you to be happy and satisfied in the level of care you receive in the office. 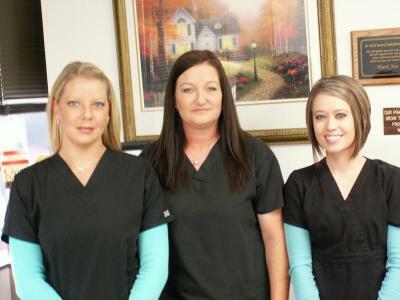 Let us help you restore your dental health today. Dr. Bercier graduated from Baylor College of Dentistry in 1993, and finished his periodontal training at Baylor in 1996. He has been in private practice for over 22 years in Richardson and Dallas, and is a member of several professional organizations including the American Academy of Periodontology, Southwest Society of Periodontists, American Dental Association, Texas Dental Association and Dallas County Dental Association. Dr. Bercier enjoys spending time with his wife and 2 sons, and is involved in many church and community service activities. Copyright 2013: John Bercier DDS, MS, PC | Periodontist Dallas | All rights reserved.